CHARLOTTE, NC--(Marketwired - Apr 23, 2015) - Say goodbye to the tangled brushroll and hello to more efficient and effective vacuuming. The new Eureka® Brushroll Clean™ bagless upright vacuum, exclusive to Walmart, features a self-cleaning brushroll to remove tangled hair, dirt and debris with the touch of a button, helping save time and maximize performance. Paired with Eureka-exclusive technologies for deep cleaning on all floor types, the Eureka Brushroll Clean delivers a powerful, cutting-edge clean every time. According to global cleaning research*, having to clean the vacuum's brushroll is a major pain point for consumers. More than 40 percent of Americans claim they find cleaning the brushroll irritating, with nearly one in 10 Americans citing a tangled brushroll as their biggest issue with vacuuming. "Vacuum owners have told us they want an easier way to maintain a clean brushroll," said Kerstin Peterson, vice president of marketing at Electrolux Small Appliances, North America. "No one wants to stop vacuuming to cut or pull away tangles. With the new Eureka Brushroll Clean, what was once a frustrating process is now solved simply and with no interruption, no mess and no touching of the brushroll." When a vacuum brushroll becomes tangled, it can affect a vacuum's performance. With Eureka Brushroll Clean, users simply press a pedal for 10-15 seconds while the vacuum is running and tangles are removed and deposited directly into the dust cup for a clean, like-new brushroll. SuctionSeal® Technology: With All-Surface Suction Plates™ that concentrate airflow on all floor types and a button that can deactivate the brushroll, the Eureka Brushroll Clean delivers Scatterproof™ cleaning on bare floors. 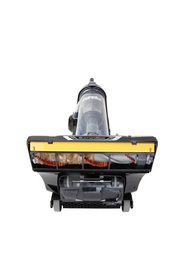 AirSpeed® Technology: Engineered with an efficient air path with limited bends and turns, the vacuum's AirSpeed Technology allows more air to pass through the vacuum for powerful suction and a deep carpet clean. 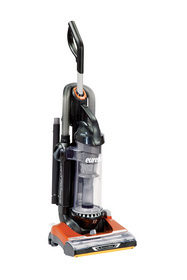 The Eureka Brushroll Clean has a 27-foot retractable cord that makes for easy unwinding and storage, as well as a maximum power 12 amp motor and multi-cyclonic system that provides no loss of suction***. For multi-surface cleaning, an included on-board turbo nozzle deep cleans stairs and upholstery, and a crevice tool and dusting brush tackle hard-to-clean areas. "Vacuum users can put away the scissors and stop trying to untangle the vacuum's brushroll by hand," said Peterson. "The Eureka Brushroll Clean has the power, tools and technology to keep homes clean, even with long-haired family members, pets, dust and dirt." The Eureka Brushroll Clean is available for $198.00 exclusively on Walmart.com and at Walmart stores. For additional information about Eureka Brushroll Clean, consumers can visit www.walmart.com/eureka or call 1-800-282-2886. *Based on results from the 2013 Electrolux Global Vacuum Survey. **Based on independent lab tests using ASTM F608 to measure embedded dirt removal from carpets. *** Per IEC 60312-1 Edition 1.1 (2011). Test results within accepted variability tolerance of 5 percent. Electrolux Small Appliances North America (ESA-NA) leverages consumer driven insight to manufacture and market innovative small appliances for the home. The company markets floor care, air care and fabric care products, as well as small kitchen appliances, to consumers under its well-known Eureka, Electrolux and Frigidaire Professional brands. It also sells high-quality commercial products under its Sanitaire brand name and offers central vacuums made by its Electrolux Central Vacuum Systems division (formerly known as Beam Industries). ESA-NA is based in Charlotte, N.C., and is a part of The Electrolux Group. Visit www.electroluxappliances.com, www.eureka.com, www.frigidaire.com, www.sanitairecommercial.com or www.beamvac.com for more information. When a vacuum brushroll becomes tangled, it can affect a vacuum’s performance. With exclusive Brushroll Clean Technology™, the Eureka® Brushroll Clean™ removes hair, dirt and debris with the touch of a button, helping to save time and deliver a cutting-edge clean. Simply press a pedal for 10-15 seconds while the new Eureka Brushroll Clean is running and tangles are removed and deposited directly into the dust cup for a clean, like-new brushroll.